The 2018 Christmas Club checks has been mailed. If you have not received yours either in a check form or deposited to your account per previous instructions, please call the office immediately. Due to the high cost of checks and postage, beginning in the 2018-2019 Christmas Club year, we will be transferring all Christmas club funds to your savings account after the dividends have been posted on the 30th of September, 2019. That will make your funds available to spend October 1st. If you want the funds to be transferred to your checking you can call the office anytime after the first and we will transfer the funds from your savings to your checking. 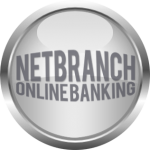 If you have online banking you can do this transaction yourself at any time after the 1st. We will also be doing this for the Vacation Club accounts. The deposit period for vacation clubs runs from July 1st to June 30th. After dividends are posted June 30th, 2019 the funds will be transferred to your savings account on July 1st 2019. These funds will then be available for you anytime after the first.